Perfect compliment to a spring cookout. 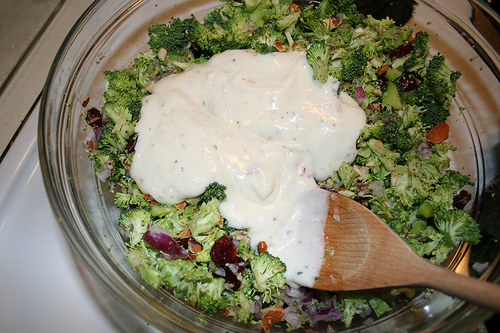 Chopped fresh broccoli, sweet cranberries, and crunchy toasted almonds tossed with a tangy buttermilk dressing. Trim and chop broccoli. 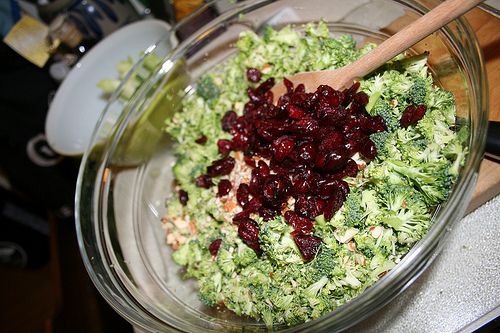 Toss with almonds, cranberries, and red onion in a large bowl. 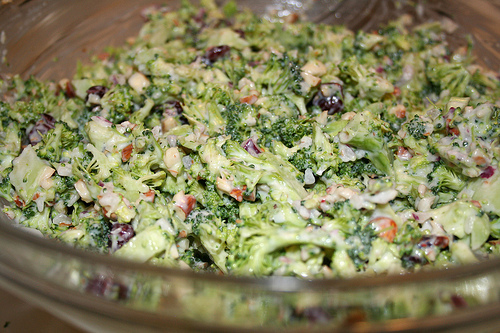 Meanwhile, whisk dressing ingredients in a smaller bowl, then pour over broccoli and toss well. Season with salt and pepper to taste.